Fill 4 tall glass tumblers with the ice cubes. Set aside. Combine the vodka, freshly squeezed lemon juice, paprika, lemon zest, balsamic vinegar, Sriracha sauce, tomato juice and seasoning together in a large bowl. Stir until well combined. Divide the mixture among the 4 glasses. 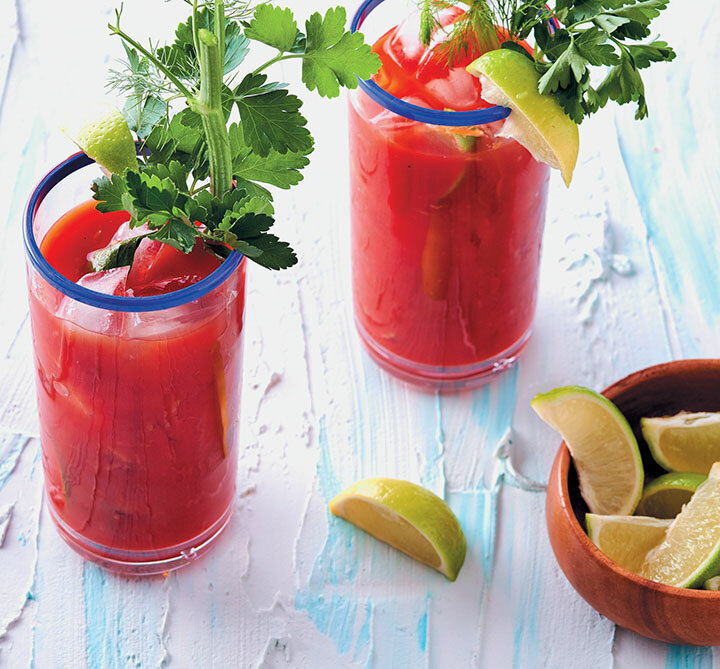 Garnish each glass with the fennel sticks, parsley and lime wedges. Serve immediately.